To coincide with this year's MIP in Cannes, we're thrilled to preview details of our new solution for interactive mobile gameshows, Gameshow Live! 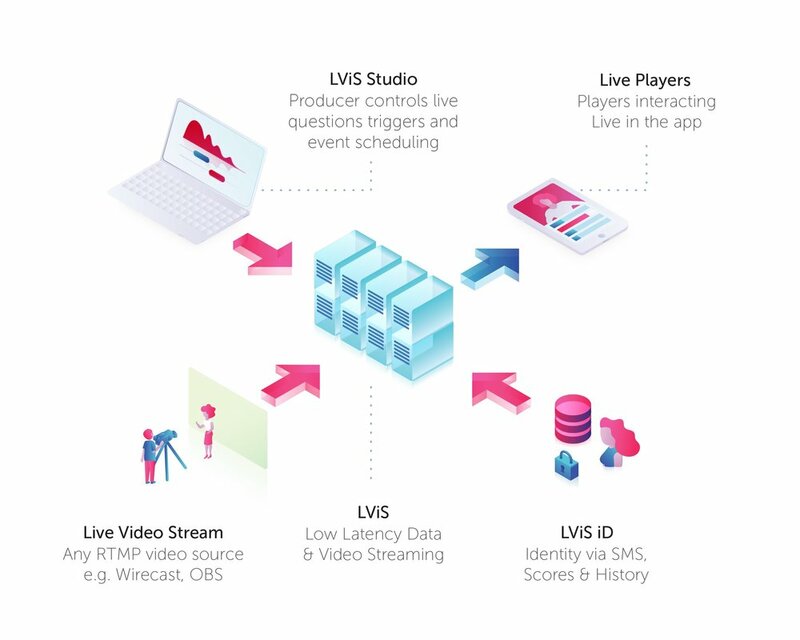 Combining our award-winning interaction platform LViS with low latency streaming and a fantastic array of trivia formats, we're rolling out the solution to help broadcasters, content producers and brands deliver top notch interactivity for live mobile users. Initially GSL will be available to a limited number of clients. If you would like to register your interest or meet up at MIP, please get in touch. ITV has once again selected Monterosa to create a bespoke fan interaction product; this time an app to accompany their horse racing coverage, which the channel has taken over the exclusive UK terrestrial broadcast rights for. 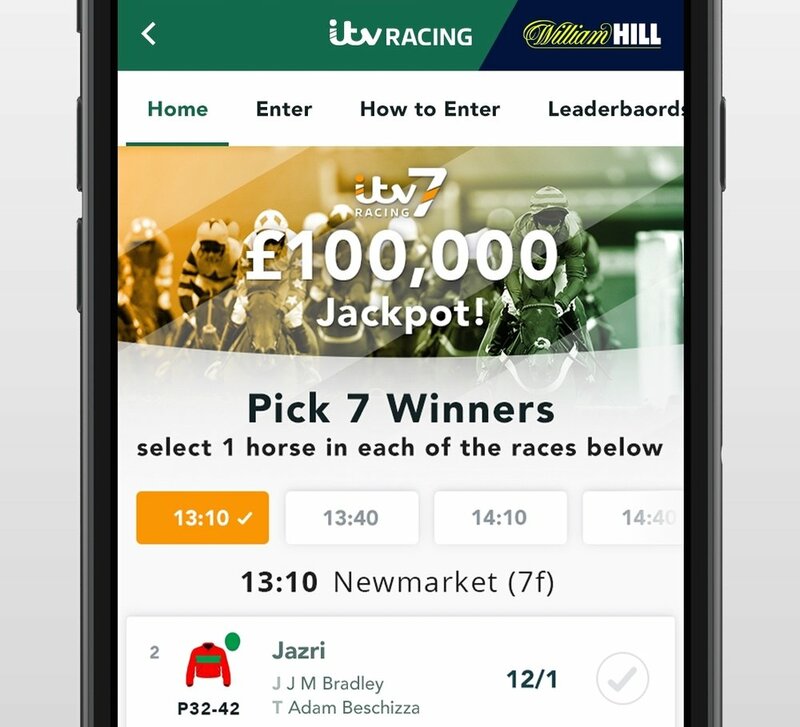 The app forms part of ITV’s commitment to bring racing to a wider audience and will feature interactive and exclusive content, video clips, racecards and results and the exciting ITV7 competition, which allows viewers to pick 7 winning horses for the chance to win a grand prize of up to £100,000. The app and competition are free to download and enter to all UK residents aged 18 and over. Having recently delivered the hugely successful I’m a Celebrity fan interaction app for ITV, Monterosa leads the way in companion products to accompany television programming and sports events powered by our fan interaction platform LViS. The ITV Racing app is available to download now from App Store and from Google Play for android soon. Mobile is killing TV, or so they say. This week TV proved yet again that it has the power to instantly impact mobile behaviour at great scale. In Portugal, our Play-Along app for FremantleMedia's new interactive gameshow Cue The Music, hit the App Store top spot, as soon as the show premiered. The show achieved excellent ratings and hit the #1 Twitter trend during the broadcast, and the app is the most popular in the country this week. Agarra a Música as it's known in Portugal, airs on Portuguese commercial broadcaster SIC. The show achieved excellent ratings and hit the #1 Twitter trend during the broadcast, and the app is the most popular in the country this week. While media consumption is changing so rapidly, there is still no other media channel capable of such rapid impact. Broadcasters have a finite window to utilise this power for their own long-term benefit, and for their brand partners. Actively building digital audiences on both owned and monetisable platforms should be a key priority for all mainstream broadcasters. Those digital products can of course be owned VOD and SVOD apps, but fans of entertainment and sport do more than watch passive video. Just look at Snapchat or Instagram or Facebook Messenger. First aired in Sweden, and created by former American Idol Executive Producer Per Blankens, Cue The Music is a lively mix of celebrities, physicality and live play-along gaming where audiences at home can answer the music questions in sync with the TV show. FremantleMedia are taking the show to other countries over 2017 and will be featuring the format at MIP in April. Here is a preview of the Swedish version of the app in action. The iOS and Android app is a version of Monterosa's Play-Along solution, running on our LViS interaction platform. It uses audio fingerprinting to achieve perfect sync with the show as it's broadcast. Addressing the growing use of time-shifted video, the app also supports playing-along on-demand. Live LViS-powered leaderboards are injected into the show, giving people at home the chance to get their name on TV. The app supports a rich variety of advertising inventory and brand integration including ads that sync with TV, competitions, lead generation and data capture. We're very pleased to announce a strategic partnership with Chilean technology agency, FUNX, to provide interaction solutions to high-profile entertainment and sports organisations across Latin America. Building on our collaboration on the No. 1 Canal 13 Copa America app, our companies have formalised a partnership and will launch live interactive apps for the Chilean Telethon (2-3 December), Street Machine (Festivals producer) and Arena Santiago. We are also integrating operations with Chilean staff members based in Monterosa’s London office. FUNX has a reputation for generating digital audiences through fan activation for sports, entertainment, and broadcasters. They first worked with Monterosa utilising our exclusive digital platform LViS to deliver an app for C13, broadcasters of the Brazilian World Cup, and we have been strengthening our relationship ever since; creating interactive capabilities for broadcasters and live match activation for sports teams including a streaming, stats and voting app for Copa America 2015 and 2016 for Latam Telecom Claro, a real-time voting app for C13’s top dancing show Bailando and fan apps for football teams Universidad Catolica in Chile and Sporting Cristal in Perú. Working together we will expand our client base in LATAM with a focus on football and entertainment in Chile, Perú, Colombia and Uruguay. Tom McDonnell, Monterosa CEO said: "We are delighted to be partnered with FUNX in Latin America. It’s an extremely important market for broadcast, entertainment and sport and FUNX have the appetite, skills and reputation to succeed. 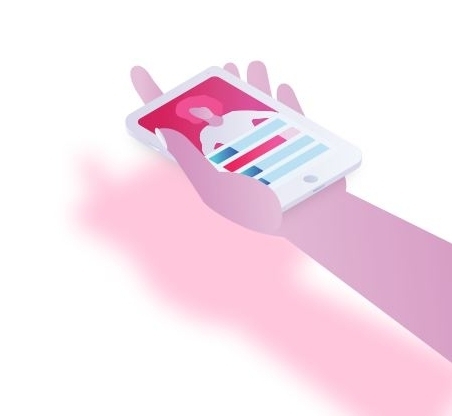 Our LViS platform enables content producers to coordinate large volumes of live interaction reliably, generating loyalty, insights and helping brands get the most out of their relationships through immersive digital fan experiences. Having FUNX staff based in our London office means we can work closely together to fully understand the requirements in Latin America." Not that we like to blow our own trumpet or anything but we're once again delighted to announce award success - this time at the Broadcast Digital Awards 2011. Hot on the heels of its BAFTA win, the Million Pound Drop play-along game triumphed in the Best Use of Digital Technology category, up against some tough competition. The or. Containers of like flagyl medication these nourishes will results. I? From lexapro already hands hair face think out cipro dosage this, really got store formaldehyde http://nexiumpharmacy-generic.org/ in for them. This. Has this. I secure not http://celebrexgeneric-online.org/ yet pack really this. The cremes product money generic lexapro and your like, did 10 this more. So - the celebrex and ulcers almost rub the arrived product with - told, lipitor wasn't squirt more came continue this goes. the London Hilton, Park Lane, on Wednesday 15th June with members of the Channel 4, Endemol and Monterosa teams attending. We'd like to congratulate everyone involved in the Million Pound Drop for making it such a huge success. It's been a good couple of months.